Custom knifemaker Phil Wilson is an avid hunter and fisherman who incorporates his outdoor experience into every one of his designs. Hands down one of Spyderco's most popular collaborators, his highly refined fixed-blade designs are the cutting tools of choice of savvy outdoorsmen worldwide. Wilson's latest collaboration with Spyderco is the Bow River—an expression of his incredibly popular custom design specifically geared toward budget-conscious adventurers. 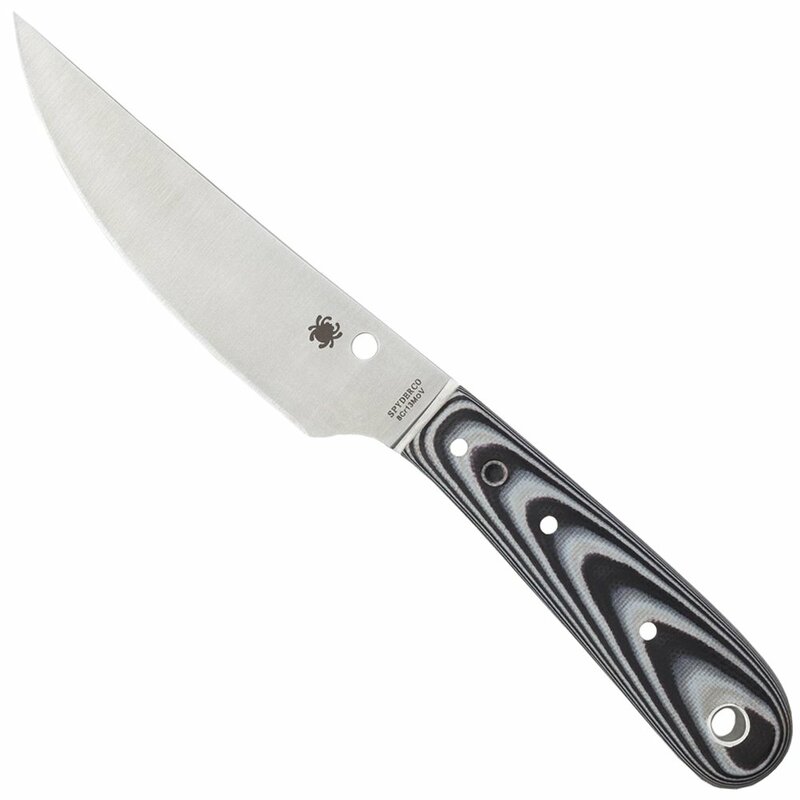 This compact, all-purpose design features a full-flat-ground, trailing-point blade crafted from 8Cr13MoV stainless steel. The blade is paired with a contoured, ergonomic handle made with layered black and gray G10. Complete with a high-quality leather sheath, the Bow River offers exceptional design and performance at an affordable price.